Matcha latte aka green tea latte is my latest discovery. Latest, as in, I’ve been obsessed with it for the last 6 months. At first, the new obsession meant going to my local Japanese cafe and buying the biggest cup. 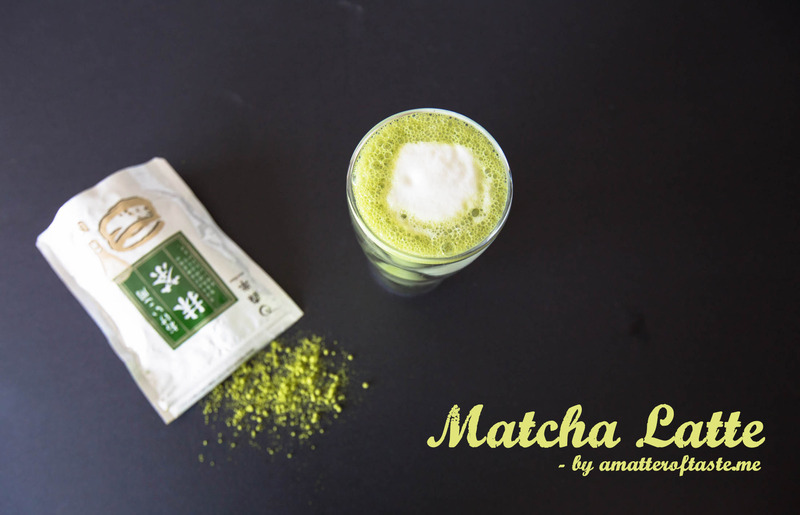 Then we went to Japan, I stocked up on matcha powder and perfected the recipe for my own, homemade matcha latte. Unlike with coffee, I prefer my milk to be on the hotter side (I can set the temperature on the frother I use) and add a little bit of honey to slightly cut through the bitterness. Put matcha, honey and water in a bowl and mix well until smooth and foamy. 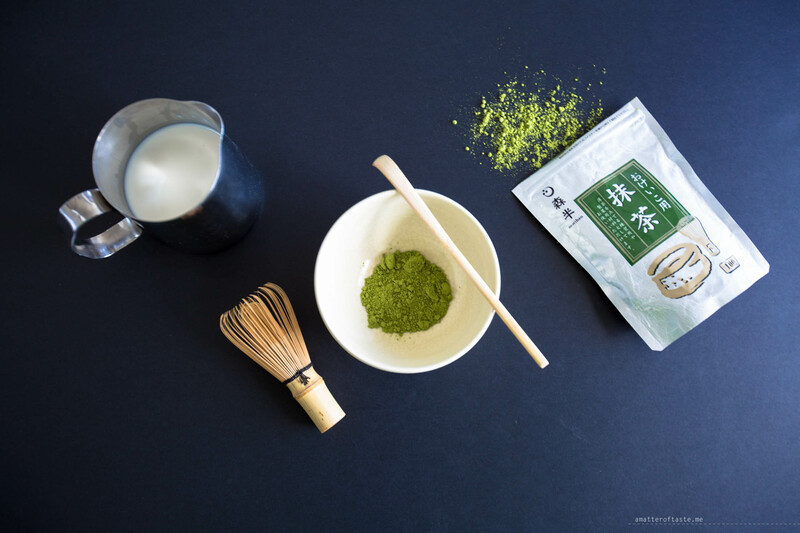 I use a Japanese matcha set (bowl, scoop and whisk) I received from my friend, but a regular bowl + spoon or mini-whisk will work as well. 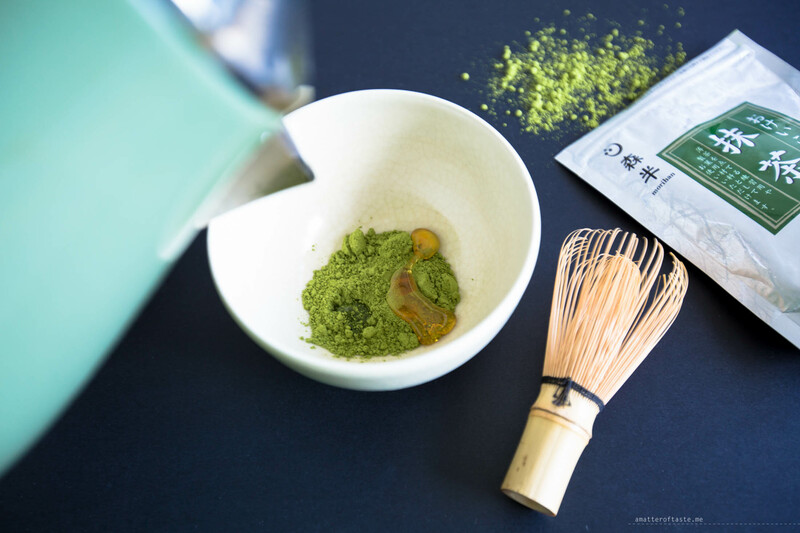 Would you like a bag (100g) of Japanese matcha powder? Just leave a comment here, on my Facebook or Instagram (or in all 3 places to multiply your chances) and one winner* will be picked at random next Wednesday 30 September 2015. I love Matcha tea, now that is getting colder I will have to start drinking it more.